Posted on August 22, 2012 at 1:26 pm. 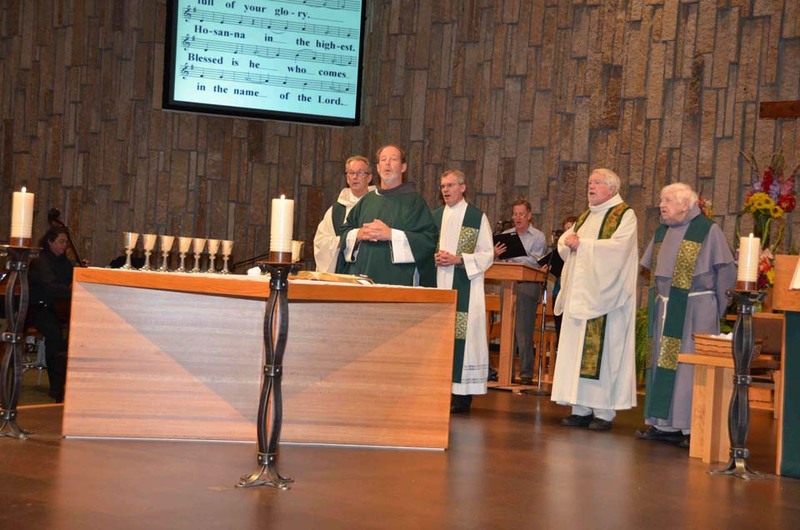 The Catholic Community of Pax Christi in Eden Prairie, Minnesota, honored Fr. Steve McMichael’s 10th Anniversary of ordination on August 18, 2012 at the 5:00 p.m. liturgy. Steve presided at the liturgy with Fr. Bill Murtaugh, the pastor of Pax Christi, concelebrating, along with founding pastor, Fr. 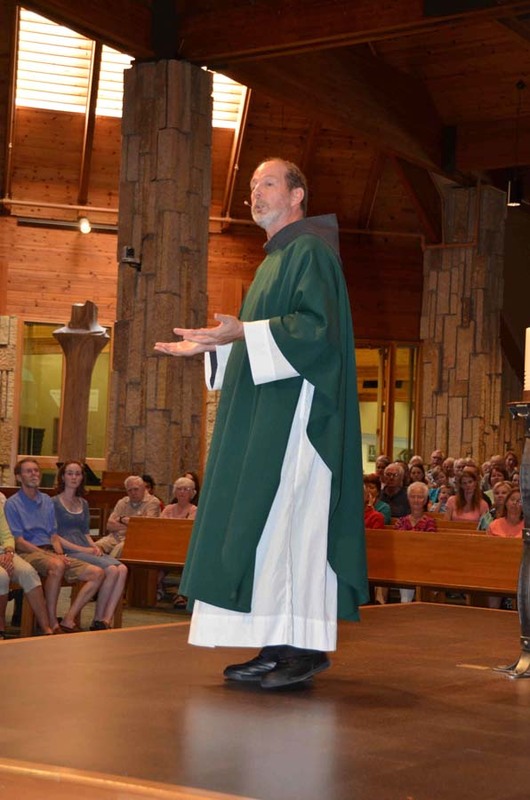 Tim Powers, Associate Pastor, Fr. Mike Kueber, and our own Fr. Juniper Cummings. Also present were Steve’s mother, Dorothy McMichael, and Bro. Bob Roddy, as well as many of friends from his home parish of St. Therese, in Deephaven. Steve assists at Pax Christi on a regular basis, so he is well known (and well loved) by the community there. The church was nearly full and many stayed for the reception after the liturgy. 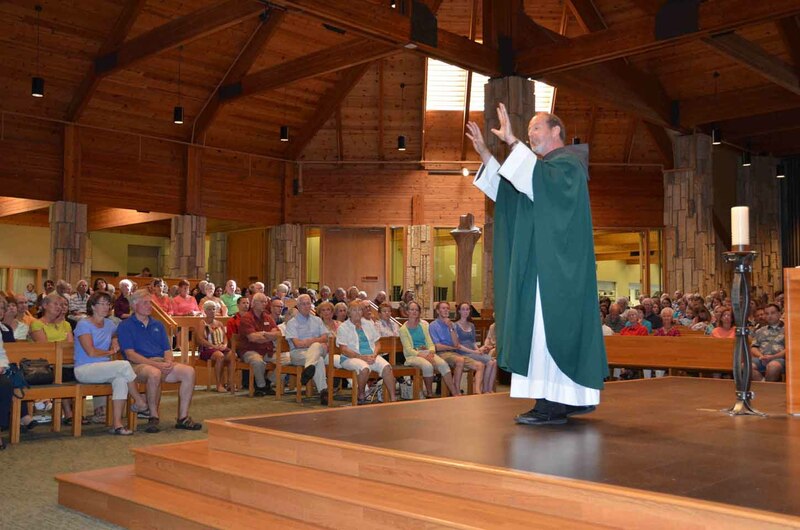 Steve continues his full time ministry of teaching at the University of St. Thomas, as well as presiding for the Poor Clare Community in Bloomington on Tuesday mornings. He also serves as spiritual assistant for the Bl. John XXIII fraternity of Franciscan Seculars.